I didn’t sleep much…..not because of excitement-but because of the love for mankind that God has placed deep inside of me. All night long I kept seeing the healing waters flowing from the robes of Jesus over creation, Her people, and His Bride. I woke up several times in a start and it was like I was deaf and something was lost. Jesus came to bring us love and healing. I can’t seem to form my words to make sense today. My heart hears and sees much. 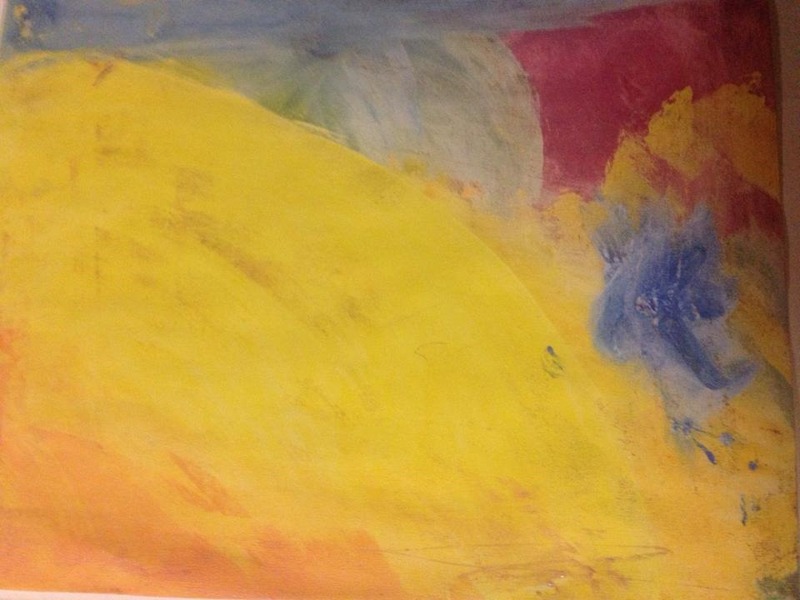 This is why I paint scenes of healing…when I can’t speak, I paint. It is my deepest prayer that each of us will be consumed by His Living Waters and that we will walk and speak and move in love not only today, but every single day, every moment, every breath. These are the rivers that I dream about…the colors of heaven…the place where my heart calls home and longs to dwell forever. I bless you with more LOVE than you’ve ever experienced on this Christmas morning…. The Word for 2014 is….. So, brothers and sisters, because of God’s mercies, I encourage you to present your bodies as a living sacrifice that is holy and pleasing to God. This is your appropriate priestly service. 2 Don’t be conformed to the patterns of this world, but be transformed by the renewing of your minds so that you can figure out what God’s will is—what is good and pleasing and mature. May your heart be a fire for the LORD Jesus Christ today, tomorrow and forever and always. We only have this moment…this very moment to give of ourselves to the Most High King. Don’t waste a second…He loves you so much…there is nothing that can keep Him from loving you and when your mind tells you differently-it’s just not true. It is a lie straight from the pits of hell. Don’t buy the lie. The thief enters only to steal, kill, and destroy. I came so that they could have life—indeed, so that they could live life to the fullest. Know your GOD. He knows YOU. If I went down to the grave,[a] you would be there too! 12 even then the darkness isn’t too dark for you! 14 I give thanks to you that I was marvelously set apart. 17 God, your plans are incomprehensible to me! 18 If I tried to count them—they outnumber grains of sand! 19 If only, God, you would kill the wicked! 21 Don’t I hate everyone who hates you? 22 Yes, I hate them—through and through! 23 Examine me, God! Look at my heart! Did you know that a gelatinous substance called “Wharton’s jelly” is found in the eyeball and the umbilical cord? Ponder that and then go back and read Psalm 139: 13-16 again….Ask God for wisdom to see and hear the deep things that only He can reveal to us through the spirit. He is ever-present…in every cell…every breath and in every substance of our being… He knows YOU. It is my deepest prayer that YOU know HIM. Many blessings of love for your New Year….d. 16 When morning dawned on the third day, there was thunder, lightning, and a thick cloud on the mountain, and a very loud blast of a horn. All the people in the camp shook with fear. 17 Moses brought the people out of the camp to meet God, and they took their place at the foot of the mountain. 18 Mount Sinai was all in smoke because the Lord had come down on it with lightning. The smoke went up like the smoke of a hot furnace, while the whole mountain shook violently. 19 The blasts of the horn grew louder and louder. Moses would speak, and God would answer him with thunder. 20 The Lord came down on Mount Sinai to the top of the mountain. The Lord called Moses to come up to the top of the mountain, and Moses went up. He is ever present and always waiting for us to ascend and meet Him there, alone, on top of the mountain-where He dwells. We cannot take anyone with us, we each must go alone in love and with a holy fear and reverence for our GOD, YESHUA, YAHWEH, Creator, Redeemer, Savior, King and Prince of Peace. He is the Great I AM, the LORD GOD ALMIGHTY., the Alpha and Omega, the Beginning and the End. He is the same today as He was yesterday and will be tomorrow. He is the same GOD who met Moses there, who breathed life into the darkness and who sent His Son, Jesus Christ, to come to earth through a miraculous birth…to LOVE US. He longs for you to come to Him…. take the journey, climb the mountain…it is a sacred and holy walk that leads to the land of Promise. Two days ago I sat in my prayer chair reading scripture out loud. I said these words to the Lord, “ I want to see your face, show me your glory.” They are the words of Moses in Exodus 33:12-13. Yesterday was my 52nd birthday. Something amazing happened that I cannot put into words. The only way to explain it is to say that I HAVE walked through a new door into a new day. 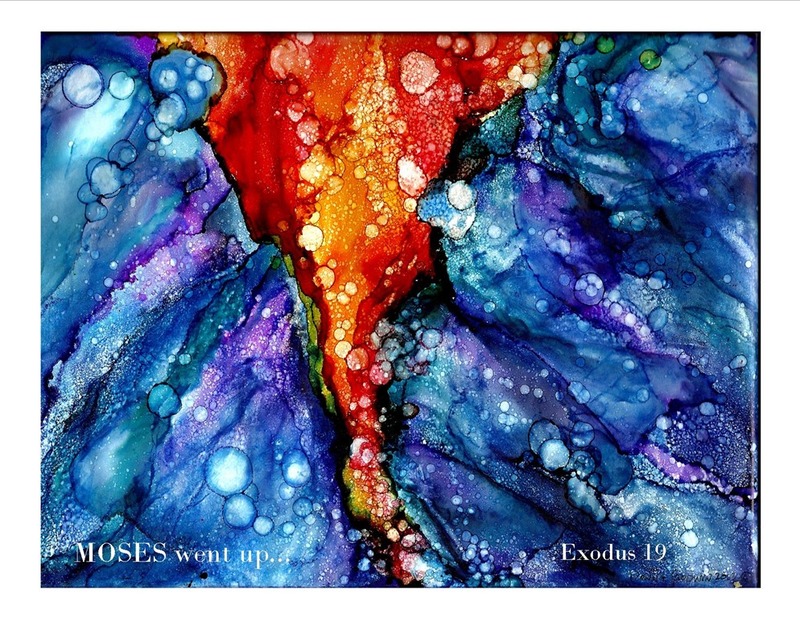 A friend has been painting like crazy and in each painting I have seen the glory of the Lord. The Lord has spoken to ME through each of her pieces and it is as if she is sitting right in the middle of my heart. I know that the Spirit of the Lord is speaking to her as she creates. I see it, I feel it, I am experiencing it. Once again, He has flipped it on me to show me what happens when He speaks through art. I am usually the one creating and sharing as He leads and I understand how He speaks and touches me as I create, but to be on the receiving end of this great gift gives me new eyes and ears and a greater understanding of the whole picture. This happened to me many months ago when another friend painted each member of my family a prophetic painting, brought them to us, and then shared the Word of the Lord with us. Powerful, profound and and life giving. We are living what the Lord spoke to her through the paintings. All I can is that if you are reading this and you are hearing from the Lord-then speak it, paint it, create it, write it, sing it, dance it-do it. Whatever he tells you to do –just do it. He longs to give others life through you. 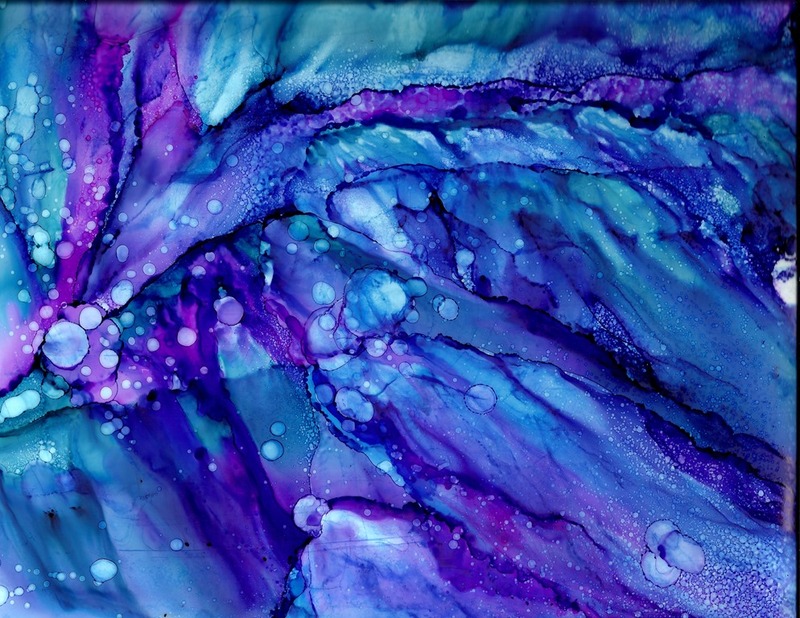 Here’s the thing- it took another friend to take me by the hand and say, “ come fly with Us…” and let’s go to the deep places of God through abstract art. Let go and let God! I have prayed for new ears and eyes everyday and I have been granted that request. In my friends faith I have jumped into His glory and not only do I now see things in the paint, I have been given greater hearing, discernment and wisdom in life. Looking deeper into the paint has shown me how to look deeper in life-to hear, see and discern what is really going on in people’s lives. It has given me greater clarity and has increased my prayer life a thousand fold. The Lord has spoken very clearly to me all year long about working in layers. He has taught me to paint in layers and to see Him in each one. The depth of His love is unfathomable. He is in every single detail of life. All of it. Painting with my eyes closed has taken me out of the picture and He has shown me that while my eyes are closed he is in control-not me. When I open my eyes and see Him….then I know it was all HIM and none of me. This is HIS glory! Thank you Lord! My dear sweet friend painted this today. She sent me a note and said, “ you inspired me sis…” but what really inspired her was a move of the Holy Spirit! I love it when that happens! 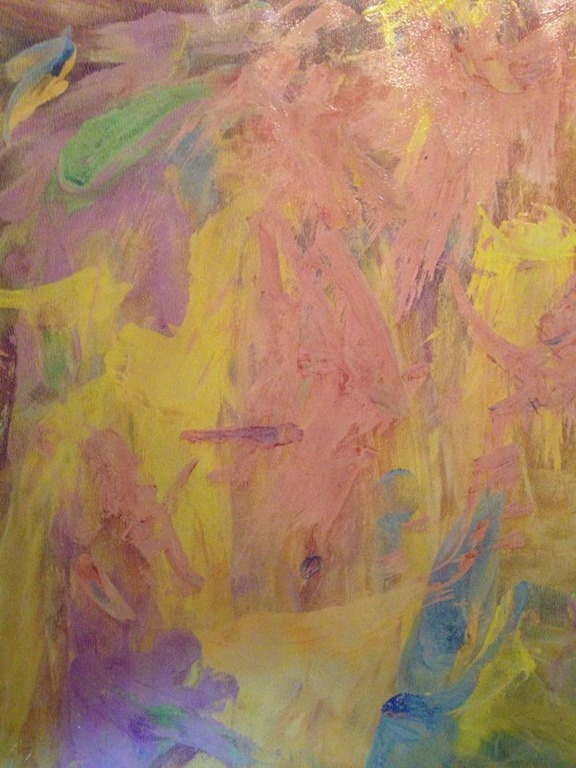 I immediately saw dancers and angels and such a tenderness in the colors. Yep, that’s her, tender and true. The more I looked at it the more it spoke to my spirit. I felt like she had painted it just for me. 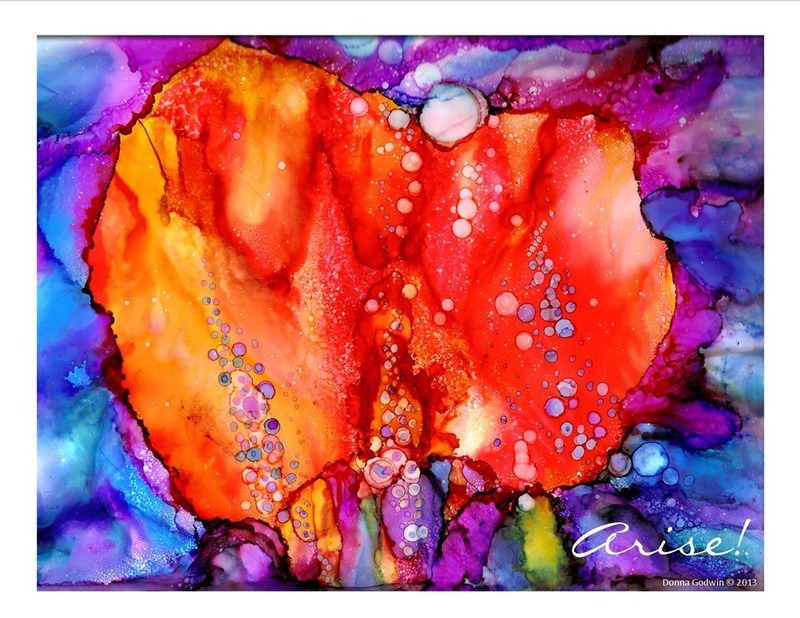 This scripture called my name….and I realized she had painted my heart on the canvas. My heart was moved to holy tears of tender love for what God has been doing in my heart for months and months now. He has been like a flood-His love keeps pouring out and filling me up in places I didn’t even know I had. I spent last weekend retreating with another dear sweet friend who has been pouring God’s love and wisdom into me in a way I cannot even describe. It has been amazing! She has taken me by the hand and said, “ let’s go…let me show you the way in love and truth and wisdom…” and as we have walked together this new tender heart has been birthed inside of me and I can no longer contain the joy I feel inside. Healing has come and I am a new creation. So when I saw the painting, I saw not only my heart, but the three of us in sweet unity with Jesus. 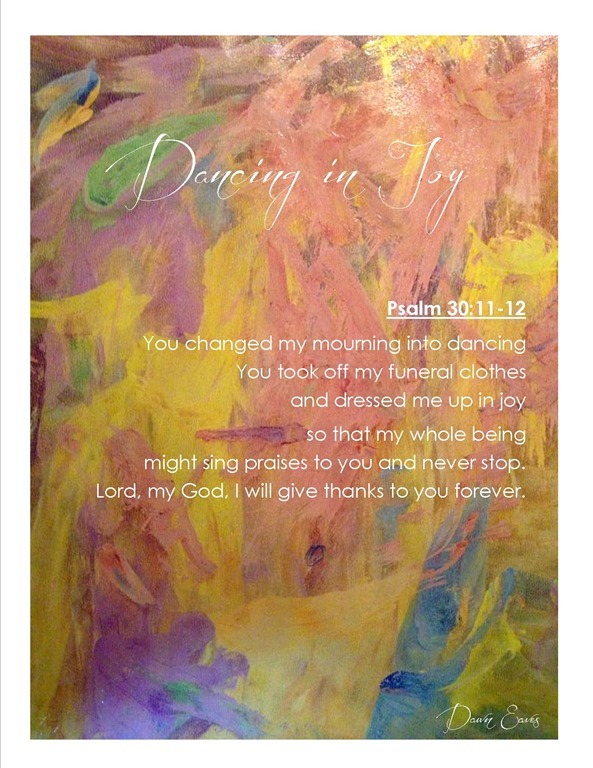 We are the dancers on the canvas…dancing with Him and before Him. Not just the three of us-but so many others that God has placed in my path to minister to me and me to them. He has been springing new things forth and pouring out such grace everywhere. He’s like that-He will work in one way and then flip it to work in the other. Ministers of Grace. Dancers of Joy. Face to face with the Master Artist, Creator God, the One who breathes life and light into the world through heaven’s hues. Thank you for sharing His holiness with me…you bless me! All glory, honor and praises to the LORD! love you much….Jesus loves you even more…this song says it all…. This is my friend’s dog. 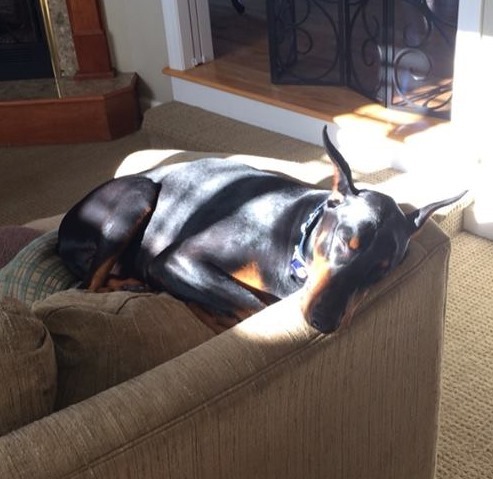 He has found a nice warm spot to rest in the sun. When I saw this I was reminded by the Holy Spirit to take time to rest in the Son. This is such a busy time of year with a flutter of activities. Some lead us to the King of Creation and some lead us away. Let us be ever mindful of the activities we choose as we celebrate the Coming of Christ the King-both in remembrance of His birth and in our future Hope and Home with Him. It’s not about us, but all about Him. So, as we go about our daily lives let us ask ourselves if what we are doing is holy- as in- will this honor the King? We are called to live transformed lives for the Most Holy One and that means being mindful of all that we do, say and think. My friends dog looks so comfy, doesn’t he? All curled up and dreaming doggie dreams! Let me encourage you today to take some time and be still with the Lord. Let Him wrap you up in His embrace and just rest there for awhile. That’s all he really wants from us-is our presence with His, just like the dog here…. May you hear His still small voice and see the light of His eyes looking back at you! May you be filled to overflowing with His glorious love.